Intellectuals and Race is a radical book in the original sense - one that goes to the root of the problem. The role of intellectuals in racial strife is explored in an international context that puts the American experience in a wholly new light. Intellectuals have played a major role in racial issues throughout the centuries. Though their individual views may differ, as a whole their views tend to group, and just over the course of the twentieth century, they have shifted from one end of the spectrum to the other. Surprisingly, these radically different views of race were held by intellectuals whose views on other issues were often very similar. 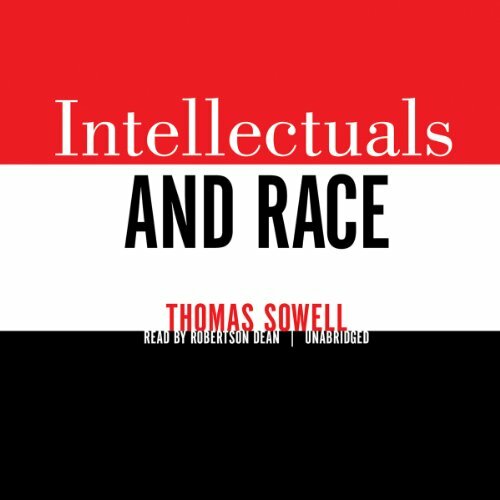 Intellectuals and Race is not, however, a book about history, even though it has much historical evidence, as well as demographic, geographic, and economic evidence - all of it directed toward testing the underlying assumptions about race that have prevailed at times among intellectuals in general, and especially at their highest levels. Nor is this simply a theoretical exercise. Sowell’s ultimate concern is the impact of intellectual movements on the larger society, both past and present. These ideas and crusades have ranged widely from racial theories of intelligence to eugenics to “social justice” and multiculturalism. In addition to in-depth examinations of these and other issues, Intellectuals and Race explores the incentives, the visions, and the rationales that drive intellectuals at the highest levels to conclusions that have often turned out to be counterproductive and even disastrous, not only for particular racial or ethnic groups but for societies as a whole. 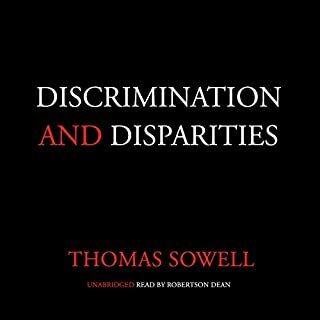 ©2013 Thomas Sowell (P)2013 Blackstone Audio, Inc.
Would you listen to Intellectuals and Race again? Why? Yes. It is an excellent book with a lot of information. Robertson Dean did an excellent job of narration. Viewing history from an economic perspective is absolutely fascinating. Personally, I have had a sporadic interest in history as a matter of race. Consequently, this book took a lot of I had learned in a sporadic fashion and bound it in a deeper context. I don't know. I just like Robertson's voice. I think that is partly because he and Sowell each have deep voices so it is more like hearing Sowell talk, though the rhythm of their speech is drastically different. I don't know and I don't know why this question is asked. 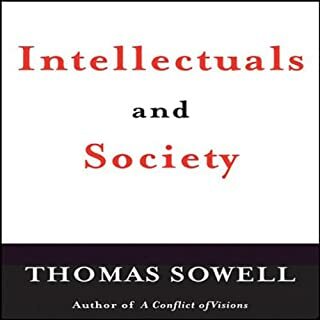 This book is an expansion of some information from Sowell's Intellectuals and Society. I highly recommend each. Thomas Sowell brings a calm intellect and perspective to a problem born of ignorance. A must read for anyone--left or right--engaged or interested in today's racial politics or social history. Unfortunately there are not enough honest scholars (intelectuals) thinking systematically, investigating and writing about this topic. Thomas Sowell is one of the few. He does a brilliant job bringing some much needed light to a very important subject. Reading Thomas Sowell is like taking the red pill. Decades of thorough research has allowed him to offer readers an international and historical lens through which they might view contemporary issues, and it is truly eye-opening. This book focuses primarily on intellectuals/the intelligentsia and their role in shaping their respective societies' understanding (or, more appropriately, misunderstanding) of the various intergroup issues that they face. In a world where facts matter, his unflinching and often tragically humorous characterization of the intelligentsia, whose truth-be-damned rhetorical and ideological pieties have throughout history and in various places around the world led to devastating real world consequences, is painfully necessary. I must admit that I wryly enjoy his characterization of intellectuals as (and I may be paraphrasing slightly) pseudo-enlightened academics and educated folk who make everything a matter of social justice so that they may position themselves as warriors fighting on the side of the angels against the forces of evil in their own grandiose moral melodramas. Indeed, in a world where facts matter, it's refreshing to have a man of good character who has always throughout an incredible career been dedicated to honest empiricism and rational analysis. That he is one of only a few makes reading his work as saddening as it is invigorating. Chances are that if you have bought this book you already have a leaning or whole hearted support to the other side of the prevailing argument. The books reiterates with facts what we already knew in our hearts and minds to be the truth and injustice. The narrator made it extremely hard to focus and even retain the much needed facts with the monotonous voice job. A 2nd listening might drive in the facts home. I was delighted that the book covers not only US but also touches on other countries too. What did you love best about Intellectuals and Race? Full of informative with an interesting narrative. There are so many aspects of this book that I found compelling it's hard to narrow it down. I did particularly like history around the turn of the century. How eugenics played a roll in the race was eye opening. I have note, but I really enjoyed his narration. He made it easy to listen to and I might seek out other narrations of his. (When I have gotten through the amount of books I presently have in my library. I highly recommend this book, Sowell is an excellent written and economist. It will make you rethink who did what to our citizens. Very informative and eye opening. 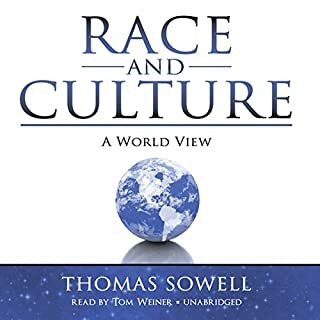 Thomas Sowell continues to show his brilliance and desire to spread the truth in this wonderful work. Dr. Sowell deserves the Nobel Prize in Everything! This book explodes the myths surrounding our discourse about race. A well researched and presented book on the treatment and ideology of race and intellectuals. Sowell discusses "the elephant in the room" that some intellectuals will neither discuss nor acknowledge. Breaks through the rhetoric and gets to the point. 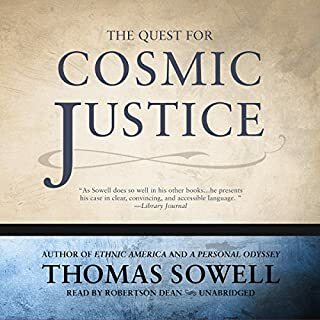 Thomas Sowell never ceases to amaze me with each title I read. The breakdown of disparities into their contributive causes gives a more complete picture of how our skin color affects so much less than we are led to believe by popular media. Each chapter details only the issues and the facts surrounding each issue. 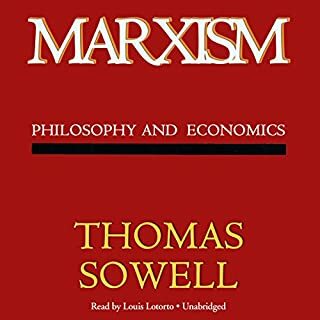 Sowell then responds to criticisms, clarifies what actions have failed, and sometimes explains what has worked and to what extent. Looking forward to my next book. This book opened my eyes to so much of what is presented to us through contemporary media. A fantastic alternative perspective. Full of useful terminology. Great material again from Dr Sowell. Lots to digest again. You probably have listen to it more than once (again) because insights pervade probably every page in the book. 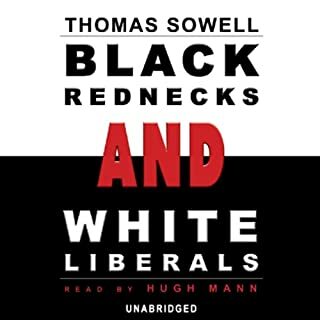 Previously listened to " black rednecks and white liberals" (highly recommended) and there's some overlapping content in here, but he takes a step back from manifest liberal dogma into the sphere of intelligentsia where much of that dogma has been/was/is being propagated and sometimes invented and initiated. You might think twice now about doing that social science degree. Highly recommend.